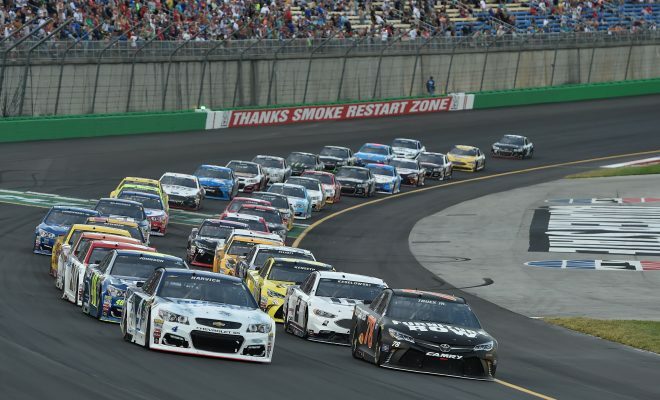 The Monster Energy NASCAR Cup Series is headed to Kentucky Speedway for the Quaker State 400 Presented by Advance Auto Parts and our Sarah Handy breaks down her picks and who you may want to pay attention to this weekend. Kyle Busch: Busch is one of the drivers who is hard to bet against this season with how successful he’s been and its only July! The 1.5-mile Kentucky Speedway is a track where Busch has a very good track record and will look to continue his top finishes at the track come Saturday evening. In 7 career Cup starts at Kentucky, Busch has 2 wins, 5 top-5’s 6 top-10’s and has completed every lap of competition that the MENCS has run since they started racing at the track. With an average finish of 5.1, he’s my top pick to win the race and capture his third win at Kentucky and his sixth win of the 2018 season. Kevin Harvick: Kentucky is one track on the MENCS schedule that Harvick has yet to find victory lane at. However, that could change come Saturday. In 7 career Cup starts at the 1.5-mile track Harvick has 5 top-10 finishes and like Ky Busch he has completed every lap of competition that the MENCS has run at the track. His worst finish at Kentucky was a 16th place result in July of 2011, since then his worst finish is 11th, every other result was in the top-10. With five wins on the season, Harvick is yet another driver who is hard to bet against with how consistent he’s been performing each week. He could certainly give Ky Busch a run for his money when it comes to the victory on Saturday evening. Jimmie Johnson: Johnson has won at a lot of tracks that the Cup schedule has raced at. Kentucky isn’t one of them and his track record the last two years hasn’t been much to talk about. With finishes of 40th (2017) and 32nd (2016) his average finish sits at 15.57. I don’t see a victory this weekend, but Team 48 may be able to turn their luck around at the 1.5-mile track. Before his last two disappointing finishes, Johnson 5 top-10 finishes in a row and led a whopping 182 of 267 laps back in 2013. Clint Bowyer: Bowyer has had a very good 2018 but Kentucky isn’t one of his best tracks. In his last four starts at the track his best finish is 13th (2017). Before last season’s top-15 finish his best finish was a 3rd place result all the way back in 2013. Bowyer’s average finish of 18.86 could better this weekend with the season he’s been having but I feel a victory is a long shot. I look for Bowyer to not be a complete dark horse as he could certainly easily finish within the top-10. Brad Keselowski: Keselowski is still looking for his first victory of 2018 and I’m listing him in my who to watch section because he’s very good at Kentucky. If Busch or Harvick don’t pull off the victory, Keselowski could very well surprise everyone. In 7 starts, Keselowski has 3 wins at the track, including 3 top-5’s, 5 top-10 finishes and has led 483 laps in MENCS competition. Keselowski has also started every Cup race at Kentucky in the top-10 and won from the pole back in 2014. Last season’s race didn’t yield the results BK was familiar to seeing at Kentucky when he was left with a 40th place finish due to a crash. Martin Truex Jr: Truex Jr is the defending race winner and everyone knows how successful he was last season at the 1.5-mile tracks. 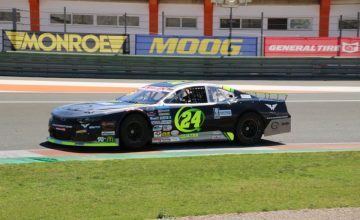 His average finish at Kentucky sits at 11.43, but he does have 3 wins on the season to go along with 11 top-5’s and 11 top-10 finishes, therefore he’s a driver to keep an eye on for sure. 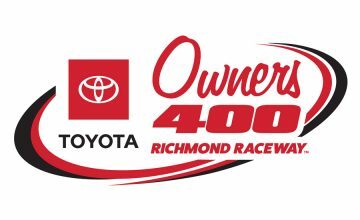 Erik Jones: The 22-year old only has one previous MENCS start at Kentucky which came last season in his Rookie campaign. In his only start however, Jones started 14th and would finish 6th when the race was over. He;s had a decent year up until this point with 1 win which came at Daytona last weekend, 2 top-5’s, and 8 top-10 finishes in 18 starts. Who do you think will win on Saturday evening? Let us know in the comments below.